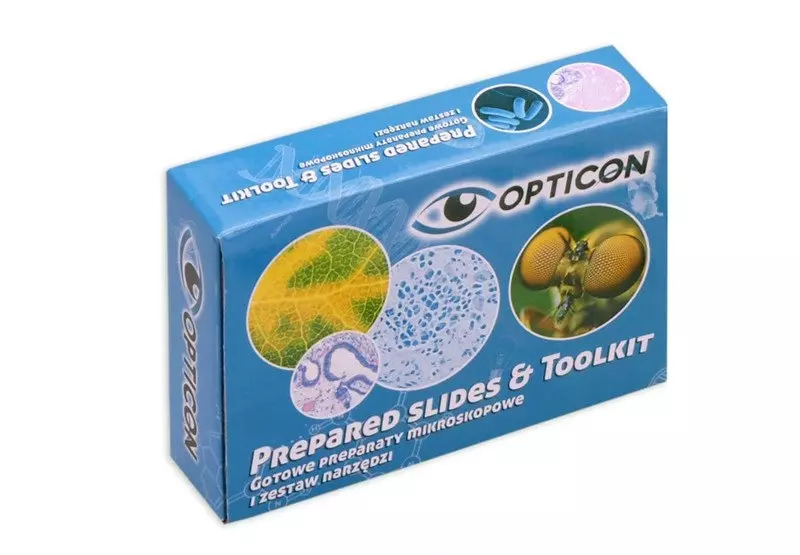 Latest Opticon product, a perfect complementary element of any home laboratory – professional laboratory tool kit. The box contains 5 prepared slides and a box of blank slides, as well as professional tools for preparing one's own specimens. 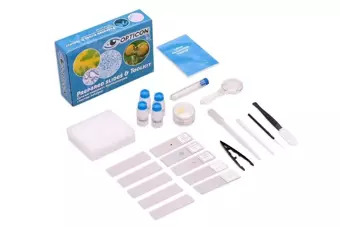 The tools are safe to use even for the youngest scientists. Optical devices and tools by Opticon are made of tested and safe materials.